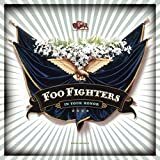 Foo Fighter�s In your Honor is by far their longest album to date, with 2 discs filled to the brim with Dave Grohl and Company�s magic. Perhaps this is the downfall of the CD, the Foo Fighters don�t seem to be the kind of band that can hold your interest for that long on an entire album. After the first disc, which is filled with mostly with great rock songs in their own tradition, the 2nd disc is very sleepy and boring, the songs seem to have a sameness to them that just blends them into one very long repetition of EMO. Since this is a CD with 2 discs, and the first one is so good, and the 2nd one not as good as expected and is a bore, I can only rate this completely halfed.